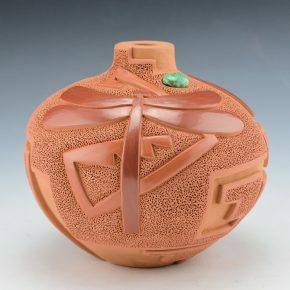 Tammy Garcia is undoubtedly one of the most renown of Pueblo potters. 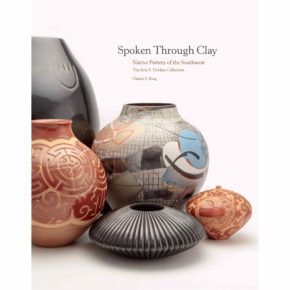 She is a daughter of Linda Cain and sister to Autumn Borts-Medlock. 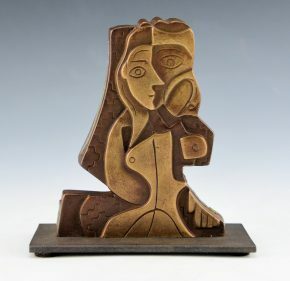 She is also the granddaughter of Mary Cain, great-granddaughter of Christina Naranjo and great-great-granddaughter of Sara Fina Tafoya. 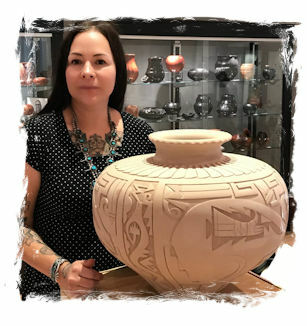 Tammy learned to make pottery from her mother and continues the Pueblo traditions of using native clay as the foundation. 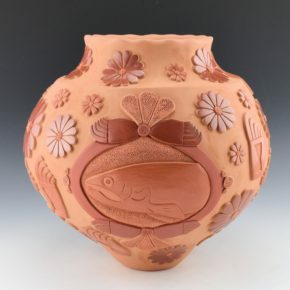 Her distinctive pottery bridges the gap between traditional and modern. 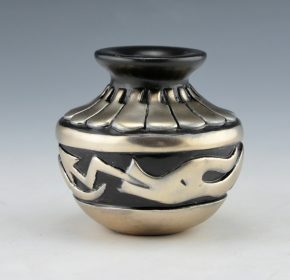 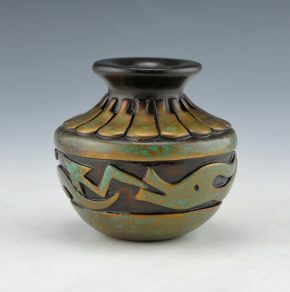 The intricacy and precision of her carving are one of the attractions to her pottery and bronze art. 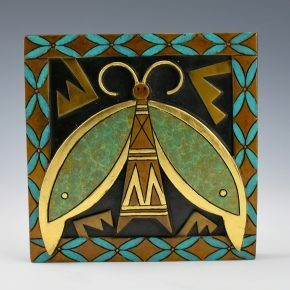 Tammy's pottery continues to evolve into new directions with each new idea. 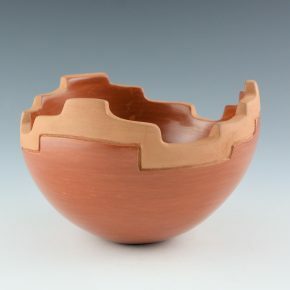 Amazingly, Tammy Garcia makes less than ten pieces a year. 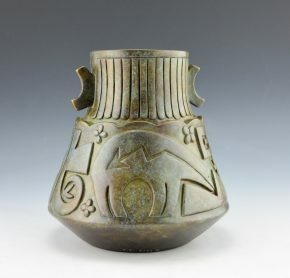 This small number is a reflection of the time involved in each section. 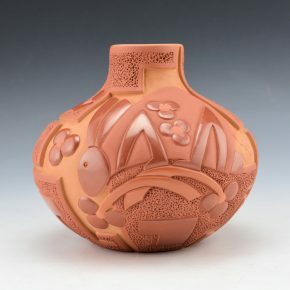 The building, designing, carving, polishing, and firing are labor intensive. 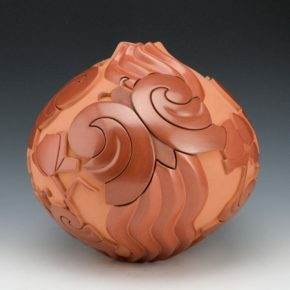 As a result of the time required, she never replicates a design or pot, and this is part of the dynamic process of her art. 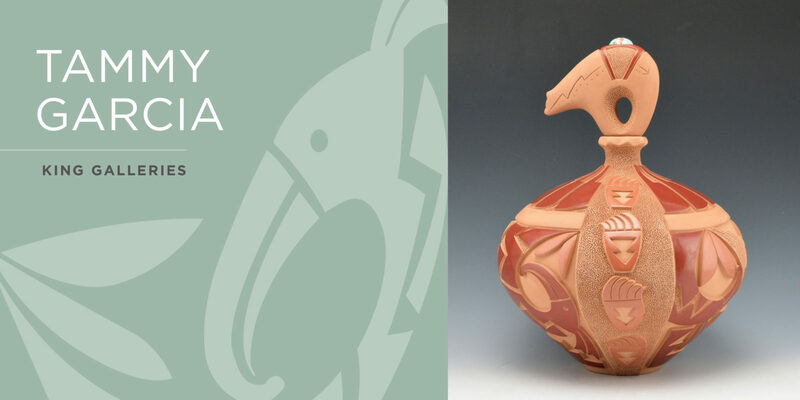 Tammy Garcia's distinctive forms and imagery create “stories” on the vessels. 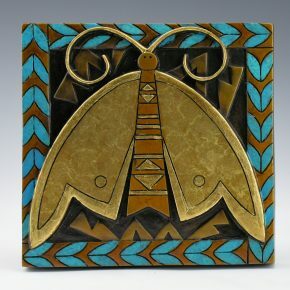 Her designs inspired by Pueblo life, animals, insects, pueblo stories or traditional images, are both traditional and contemporary. 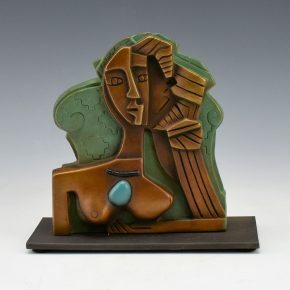 The surface of her works are polished then carved, and there is always a fantastic balance of carved verses matte areas. 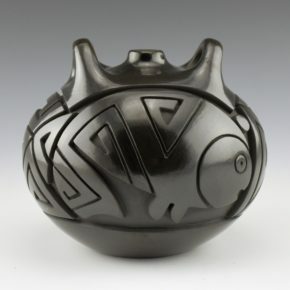 Tammy’s pottery is in permanent collections and museums worldwide such as The Denver Art Museum, the Heard Museum, The Autry Museum among others. 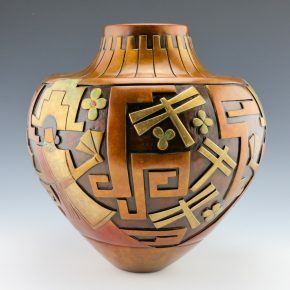 She has won multiple awards for her pottery and most recently was the subject of a one-woman exhibit at the National Museum of Women in the Arts.